Charleston Chew Lofts are Booming! 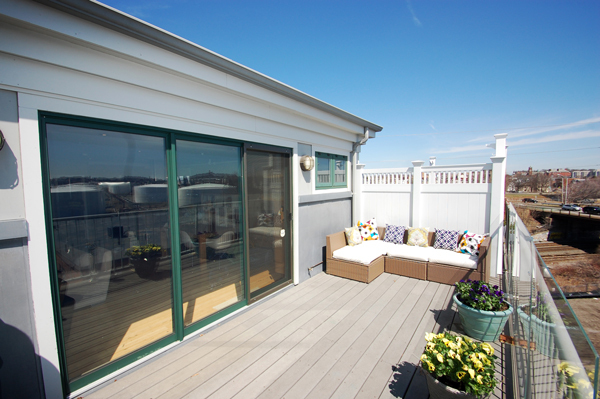 The Charleston Chew Lofts in Everett is experiencing extremely strong sales right now. The combination of a hot market, incredible momentum in Everett and specifically the neighborhood where the lofts are, AND the unique / gorgeous lofts at the buildings are the perfect storm for buyers looking for a great investment and amazing home. Signs that the neighborhood was changing first appeared in 2005 when the former Charleston Chew candy factory was converted into a 69-unit condominium development. Nancy Koury and her husband, Steffen, were among those who bought, lured by an easy commute to their respective jobs at a Boston law firm and product design company. The Kourys bought two units with exposed brick walls and ceilings with aged wood beams, then combined them into a penthouse suite with a deck and skyline views of Boston. Nancy Koury said it was an opportunity to get more for their money than in other Boston-area neighborhoods, including the Charlestown Navy Yard, where they once lived. "We pretty much fell in love with the space," said Koury, who today is a member of the Everett Planning Board. The city had plans to improve the neighborhood at least two years before Wynn set his sights on the former Monsanto property in 2012 as the location for his company's casino. Over the past couple of years, it has repaved Route 99, added a bike lane, and installed new lighting. City officials also plan to study the feasibility of adding a commuter rail stop along tracks on the west side of Route 99. Robert Burns is cofounder of Night Shift Brewing, one of two breweries in the Lynde. In the three years since the microbrewery opened on Charlton Street, Burns said he's noticed new businesses, more young people, and more activity in the neighborhood. "It just seems as if it's going up and up," Burns said. "And I think as more people realize the close proximity to public transportation and how close it is to the city, it's going to be a great alternative to living in the more expensive communities around it." 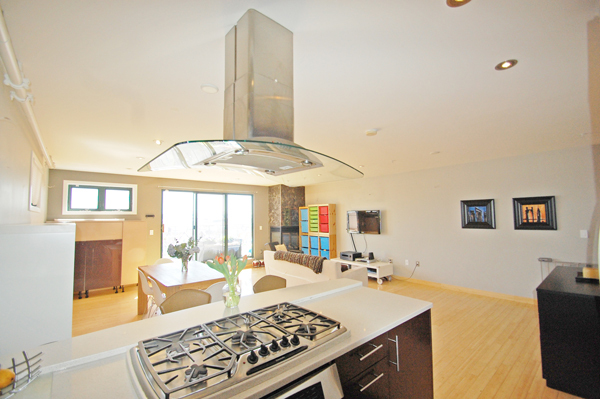 Over the past 6 months, the average loft sale here was just over $341,000 for a 1,000 Square Foot brick-and-beam gem. That's an average of $341 a foot, a bargain compared to Boston Lofts that average $550 - $600 a foot at this time. The building's unit consist mostly of one-level lofts, with juliet balconies or patios. 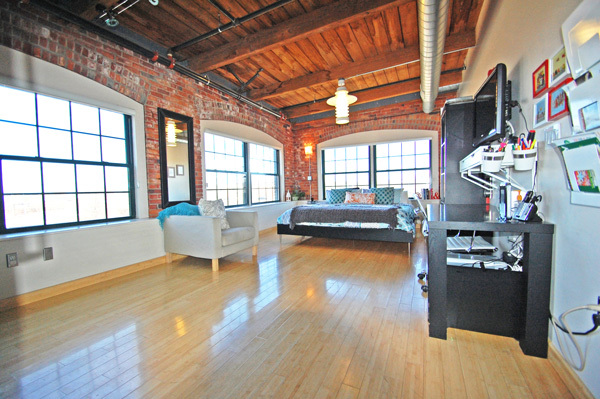 The gem of the Charleston Chew Lofts (and possibly the gem of the loft market north of the Charles River!) is "new the market" unit A405: a 1500+ Square Foot two-level Penthouse loft that boasts incredibly upscale fits & finishes, top-of-the-line appliances, a gas fireplace, a sunny & huge roofdeck with Boston Skyline views, and incredible Master Suite who's walk-in closet is an object of beauty! The Roofdeck at Penthouse a405 - Sunny w Skyline Views!